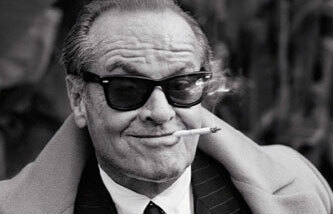 No one puts it quite like Mr. Nicholson. With over 50 years in the limelight, who better to distinguish the importance of accessories, or as we like to call them- ‘man-cessories‘ than the original ladies man. In every mans wardrobe there is always room for a game changing add-on, so we have picked out three of our favorites which we deem ‘Necessary Man-cessories‘ to propel any outfit from merely socially acceptable into one to remember. Bored of your 9-5 work day tie, why not channel the 1950s rat pack men with a statement item. Ron Bennetts Big Mens Clothing stocks a huge range of ties especially designed for the big and tall man. Our personal favorite is this Navy Blue number by Terruzzi. 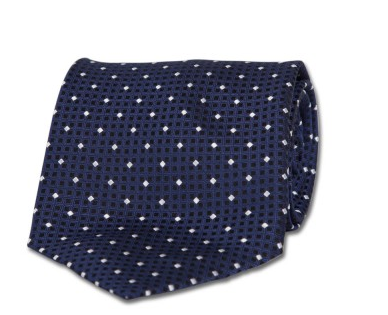 Direct from Italy, this blue pure silk tie offers unparalleled elegance and style. Wear with a casual white shirt for a dressed down look, or throw on a suit jacket and you’ve got yourself into a formal wedding. Scarfs for men are often mistakenly, regarded as a feminine accessory. But lets get one thing straight, Scarves are manly. They have been a staple in men’s wardrobes for thousands of years. They even feature on the famous terracotta soldiers of China in 3rd century B.C.E, where the tied neck scarves were used to denote rank in a form of early military insignia. The primary function of the scarf being to keep a mans neck warm and we have found that these babies do a fine job of it. Our pick is a Sovrano classic grey example, delicately crafted from acrylic to give the impression of soft, luxurious cashmere, while the strong charcoal tone and tasseled ends make for a smart accessory to match with virtually any cold weather ensemble. To wear, generally most scarfs work well if you’re wearing a suit or sports jacket with a deep V-shaped front. Think the classic lawyer or businessman’s way of adding a scarf to a suit and tie ensemble. As possibly the most under-appreciated man-cessory there is, we felt it was time to highlight this necessary addition to any mans wardrobe; the braces. Having recently come back into fashion thanks to the current Rockabilly trend, the beauty of braces truly lies in their timeless style combined with its handy functionality. Braces represent a piece of history which has stood the test of time, providing a basic foundation for menswear. Wear with some chinos for a vintage ‘Americana’ look, or as part of your everyday work wear for something new. Our personal pick would have to be this elastic strap pair from Buckle. Ron Bennet Big Mens Clothing stock a wide range of styles but we cant go past this 1950s throwback pair. Whats not to love about something which holds your pants up and keeps you stylish. Plus, its like a belt, only more comfortable. As Jack Nicholson kindly pointed out, its those finishing touches which make all the difference.